Perfect for dunking into a smooth and creamy cheese sauce or a fresh and zesty salsa, these Mission white triangle corn tortilla chips are pre-fried to crispy, crunchy perfection! Mission brings you hearty and tasty 100% whole grain corn flour tortilla chips with no cholesterol and an ample size for your concession stand, snack bar, or restaurant. You'll get multiple servings out of this 2 lb. 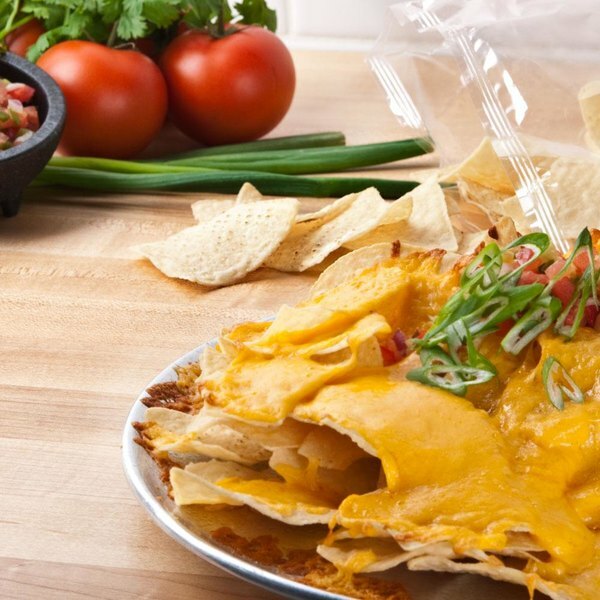 bag, and you'll be able to create popular appetizers like loaded nachos; pile on cheese, ground beef, and jalapenos for the whole table to share! Or, simply serve these tortilla chips with your signature salsa, guacamole, or spinach and artichoke dip. You can even scoop out a portion of these white triangle tortilla chips to serve alongside soups, paninis, or southwestern-flavored wraps. 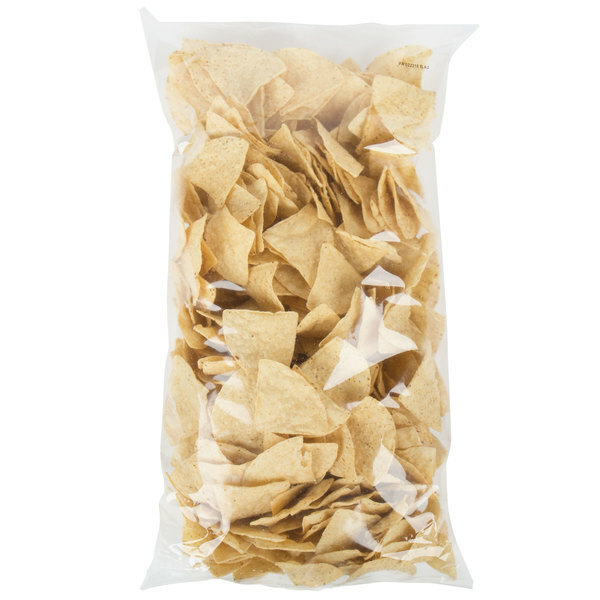 Triangular and white, with a slightly salty taste your customers love, these corn chips make the perfect addition to your snack bar or concession stand. Portion them out onto nacho trays and serve them at sporting events, carnivals, or on your late night menu. No matter how many ways you choose to serve them, these versatile white triangle corn tortilla chips are sure to satisfy all of your guests' snacking needs! As a proud subsidiary of Gruma Corporation, Mission strives to deliver top-quality products to your foodservice establishment. Through innovative methods, Gruma and Mission together are the leading tortilla manufacturer worldwide, and created a brand trust by consistently delivering high-quality and authentic Mexican flavors to consumers. With Mission, you can rest assure that you are serving the absolute best to your customers. These generic chips are great for branding. Huge size, 2 lbs and a great price! Would definitely recommend. Very fresh, crispy and tasty. Love these chips.